Have You Had “The Conversation”? My plan was to watch some “mindless” television and lay on the bed and more than likely take a little nap to enjoy the afternoon during my mini vacation. The last channel watched was HLN and Dr. Drew was on with a panel discussing Bobbi Christina starting hospice care. Dr. Drew did not mince words when he described how the human body reacts to existing in a comatose state for any length of time. Many of the other panelists were very upset by the description he gave, yet medically it was accurate. How many of our patients have we seen well past the ability to make health care choices for themselves either without family members or with family members that don’t know the reality of the end of life trying to do the best they can? We CAN be aware of what services are offered in our response areas either for in patient or out patient and mention them to the patient and or family to follow up on later during an appropriately timed conversation. We CAN communicate our concerns with Emergency Department staff so they can discuss options with patient and family at a later time. We CAN be aware of our state statutes regarding advance directives and our role in honoring them. We CAN consider end of life care as important as other clinical issues when pursuing continuing education opportunities. We CAN treat (ALL) patients and their families with dignity and care at all times. Preparing a Living Will. This communicates to healthcare providers what kind of treatment you would like and in what situations. 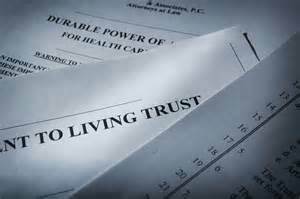 Preparing a Healthcare Power of Attorney or appointing a Healthcare Proxy. This person is should be aware of what your preferences are for your healthcare and acts on your behalf in healthcare matter when you are unable to communicate. Would you like to donate your organs? Some states require a registry, others allow you to note it on your drivers license, but you should prepare your family before an incident so they are aware of your choice. 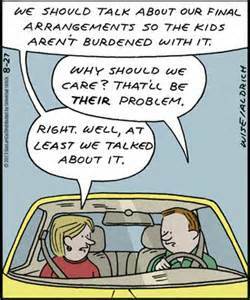 Obtain Life Insurance. Health insurance is a hot topic in the United States today, but not much mention is made of life insurance which provides for our families financial well being after we are gone and unable to provide for them anymore. To be sure, no one wants to die, much less think and talk about it. We are hardwired as humans to love life and do whatever it takes to keep it. Yet, as unfortunate as it is, death will come for all of us and is an important event in our loved ones lives as well. Our demeanor will decide if it is a destructive event or one filled with the love and care of our loved ones celebrating a life well lived. Part of preparing for that celebration is being open to the conversation of end of life planning and bringing our loved ones into the fold with care and compassion. Is Too Much Starch A Bad Thing?